True Parents granted the grace of Fulfillment of Wish Papers as well as separation of spirits and blessing of ancestors for the providence of spiritual and physical salvation. True Parents changed the Prayer-Wish Purification Ceremony for Restoration to the Prayer-Wish Offering Ceremony for Restoration. The Prayer-Wish Purification Ceremony for Restoration was a ceremony wherein the Wish Papers were placed in a chamber and burnt. This ceremony was conducted during the growth stage of the Cheongpyeong Providence, from Jan. 19, 1995 to Oct. 27, 2014. 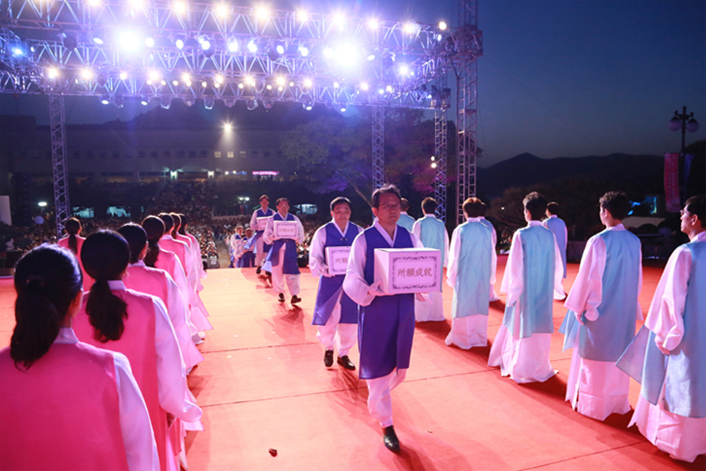 However, on the victorious foundation of the 3rd Anniversary of True Father’s Universal Seonghwa, and in alignment with the age of the Cheongpyeong Providence in which True Parents directly preside over the spirit world and physical world, we received great blessing in which our wishes were conveyed to Heaven through the Prayer-Wish Offering Ceremony for Restoration. 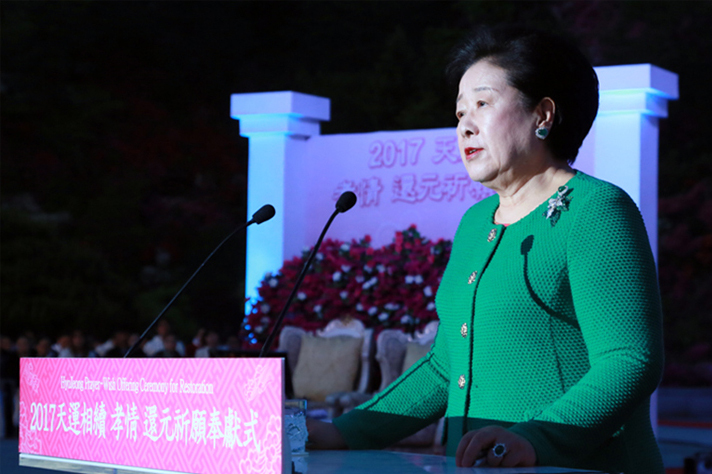 May 7, 2017, During the 2017 Prayer-Wish Offering Ceremony for Restoration, the International President Sun Jin Moon and her husband offered to Heaven the HyoJeong Wish Fulfillment Paper for the Inheritance of Heavenly Fortune which was melt with the water of life. True Parents said, even though this external ceremony has changed, the practical value of the Prayer-Wish Offering Ceremony for Restoration is linked to the previous Holy Burning Ceremony, and still carries the same grace. 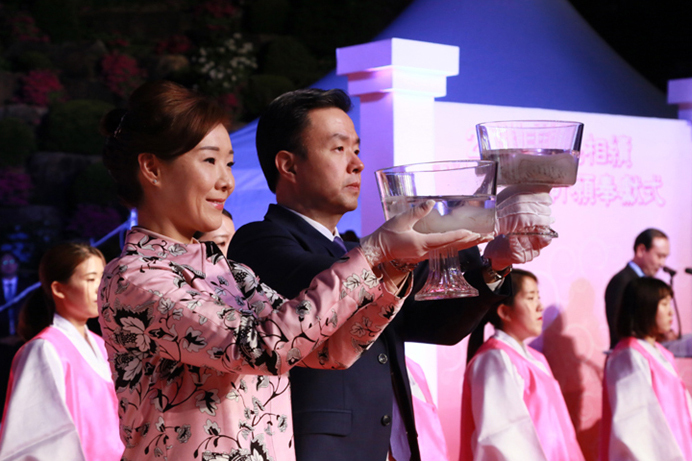 The Prayer-Wish Offering Ceremony for Restoration continues every year in May, together with the Azalea Festival for the Inheritance of Heavenly Fortune, HyoJeong Cheongpyeong Great Works. True Parents allowed us to use a new type of Wish Paper especially produced with water soluble paper. It will be used for the first time at the 2017 HyoJeong Azalea Festival (May 5-7). Until now, the Wish Papers have produced miraculous testimonies from church members. We would like to share some of their recent testimonies. I had been so worried because even after starting a family, I had been unable to get pregnant. However, I had my first son after coming to Cheongpyeong. My son has participated in Cheongpyeong Workshops during his summer vacation every year since his childhood. My son entered the first grade of elementary school early, and also entered middle school when he was 10 by skipping a grade. However, when he was in the 3rd grade of middle school, he began to be bullied by his school mates. 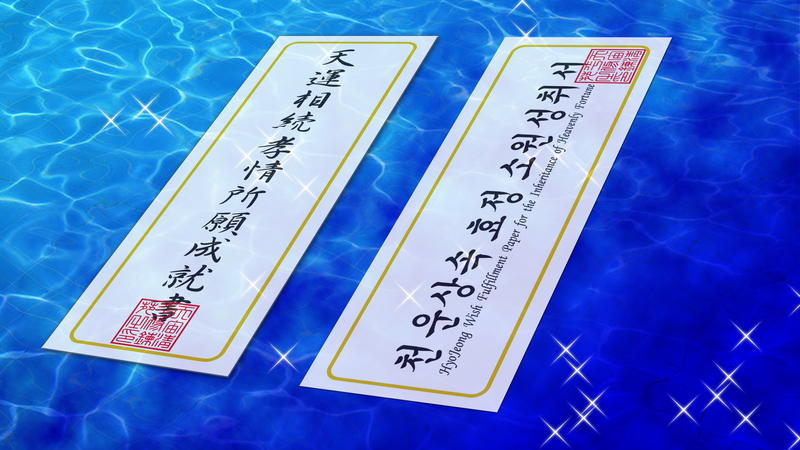 When the bullying reached its peak, I came to Cheongpyeong and offered 21 sheets of Wish Paper. Then, from the day after offering the Wish Papers, the bullies never touched my son again. At the end of the school year, 2 of the bullies that had caused my son the most pain were expelled from school and the other bullies were held back a grade. However, my son seemed to still be deeply hurt and could not study hard. Although he couldn’t get high scores in high school, he decided to try to enter the highest level university and applied to the school. Before a written examination, I came to Cheongpyeong and wrote many Wish Papers and prayed during my son’s examination time. After the written examination, my husband, my son and I took part in the Purification Azalea Festival and offered a prayer with hope that my son will pass the exam and wrote many Wish Papers.